The Monster Energy NASCAR Cup Series will compete this week at Charlotte Motor Speedway this week. This will be the fourth race on a 1.5-mile track this season (Atlanta, Las Vegas, Texas and Kansas). So far the races have been dominated by the drivers who qualify up front. That does not mean a driver cannot come from the back to win. Jimmie Johnson started 24th and won the race at Texas. This is the longest race of the season so track position does not matter in this race. Drivers will have plenty of time and nearly 15 pit-stops to make their way to the front Sunday night. 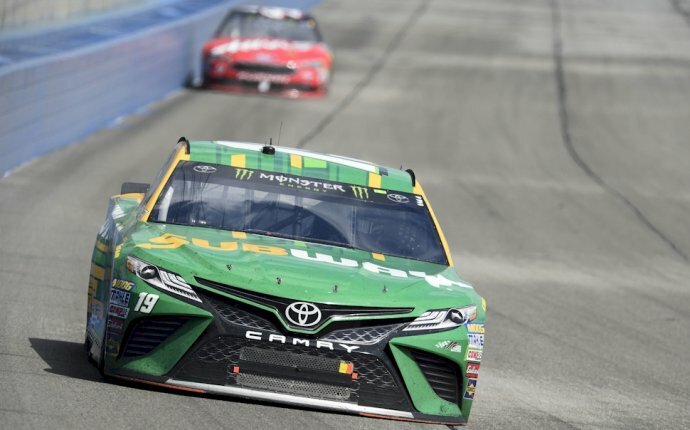 The scoring format for Fox Fantasy Auto Racing rewards drivers who improve their position in the race a lot more than the drivers who lead the most laps. It will be important to select the drivers who can score position differential points this week. I recommend selecting drivers who start outside the top 10. Kyle Larson must be on every team. He is almost guaranteed to earn 30 bonus points for position differential. I like Jimmie Johnson to win this race from the 14th starting position. Joey Logano also must be on every team. He starts 23rd and should finish near the top 10. I know I said I would not use Dale Earnhardt Jr. but they put the same setup in the car as the No. 48 car. He actually looked good in practice and he was happy with the car. That does not happen often. Chris Buescher looked a lot better in practice than where he qualified. He starts 29th and ran 22nd in final practice. He finished 23rd at Las Vegas, 21st at Texas and 18 at Kansas. Buescher keeps getting better on the 1.5-mile tracks. Here are my picks for the Coca-Cola 600….